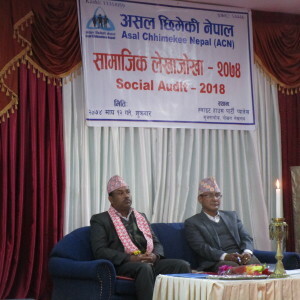 Asal Chhimekee Nepal (ACN) conducted its fourth Social Audit on Magh 12, 2074 (Jan 26, 2018) for the work of 2073. 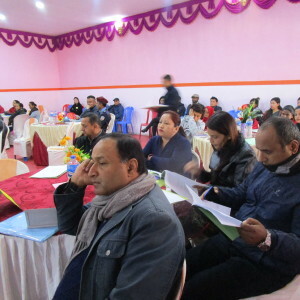 The event was conducted as a participatory workshop that was facilitated by Mr. Krishna Prasad Awasthi (Executive Director of NEST) who is an expert in the field. 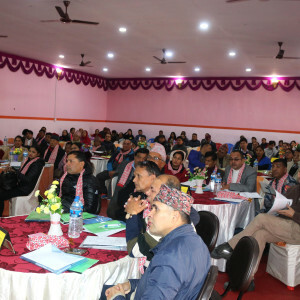 There was a significant number of participation of stakeholders including Government Officials from Gorkha, Nawalparasi and Kaski districts. 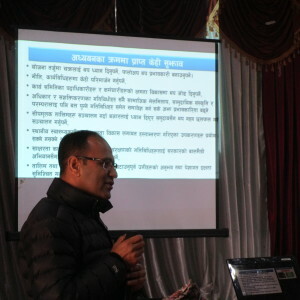 The main purpose of conducting Social Audit 2074 was to share information about the achievements, work implementation as well as organization’s governance and receive feedback from stakeholders in order to make the program more effective in future. Here are some of the pictures of the programme.